A military plane flying from Myeik to Yangoon, Myanmar (also known as Burma), has crashed over the Andaman Sea. The plane was carrying anywhere from 100 to 120 people, according to different sources in the Burmese government and military. No news about survivors has been reported. 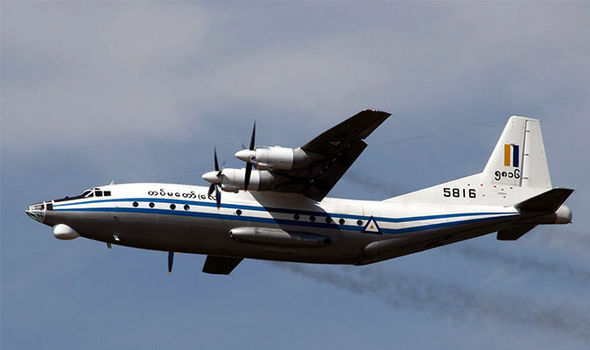 The aircraft lost communication at around 1:35 PM (7:05 GMT) local time, according to officials from the Burmese army. The Chinese-manufactured Shaanxi Y-8 military plane was flying 25 from the coast when it vanished from the radars. The army instantly launched a search and rescue mission. Debris from the plane crash has been noticed in the Andaman Sea, some 218 kilometers from the city of Dawei. The Shaanxi Y-8 turboprop aircraft is used by the country’s military. The crashed unit was delivered in March 2016 and had a record of more than 800 flight hours. The reasons of the crash are yet unknown, with sources in the army quoting technical failure as the likeliest cause.